KEANE is the leading unclaimed property services provider offering communication, consulting and compliance services and programs to its institutional clients and consumers. KEANE is committed to using its best efforts to protect your privacy with technology that gives you the most powerful and safe online and commercial experience. KEANE is subject to the investigatory and enforcement powers of the Federal Trade Commission (FTC). KEANE serves as a business associate for some clients, which may involve the use and disclosure of an individual’s protected health information. As a business associate, KEANE complies with certain laws under the Health Insurance Portability and Accountability Act and the Health Information Technology for Economic and Clinical Health Act (“HIPAA Laws”). All protected health information is handled in accordance with the privacy and security protections afforded under the HIPAA Laws. KEANE’s subsidiary, Keane Financial, LLC, is a licensed broker-dealer and subject to the laws, rules and enforcement powers of the Securities and Exchange Commission (“SEC”). For personal information of consumers, customers, investors, and government officials that KEANE, including its U.S. subsidiary Keane Financial, LLC, as defined above, receives from the EEA, either directly as Data Controller or as a Data Processor for its clients, KEANE has committed to handling such personal information in accordance with the GDPR and EU-US Privacy Shield Principles. We self-certify compliance with: U.S. – E.U. Privacy Shield Certification. KEANE’s Privacy Shield certification can be found at https://www.privacyshield.gov/list. For more information about the Data Protection Act Principles, please visit the Data Protection Commissioner of Ireland’s Website: http://www.dataprotection.ie/. For more information about the EU-US Privacy Shield Principles, please visit the U.S. Department of Commerce’s website at https://www.privacyshield.gov. Pursuant to contracts you enter into with KEANE, agreements you may already have in place with a financial institution or company holding your data, and/or KEANE’s contracts with such companies, KEANE collects personally identifiable information, such as your e-mail address, name, home or work address, telephone number, and/or other personally identifiable information. KEANE also collects anonymous demographic information, which is not unique to you. The purpose of KEANE’s collection and processing of this information is to assist a company holding your property in complying with federal or state law to locate you, verify your identity, and reunite you with your property; and/or going beyond such requirements when such efforts have not reached you. In addition, KEANE may collect personally identifiable information about you in order to determine if you are the correct entitled party where its client holds an asset registered to you or in the name of a deceased individual. Such collection is in furtherance of the legitimate business and fraud prevention interests of KEANE’s clients. There is also information about your computer hardware and software that upon your consent to the pop-up notification is automatically collected by KEANE’s internet optimization vendor. This information can include: your IP address, browser type, domain names, access times and referring website addresses. This information is used by KEANE for the operation of this website, to maintain the quality of this website, and to provide general statistics regarding use of the KEANE website. Please keep in mind that if you directly disclose personally identifiable information or personally sensitive data through public comments on KEANE blog posts, this information may be collected and used by others. KEANE encourages you to review the privacy statements of websites you choose to navigate to through a link from KEANE’s website so that you can understand how those websites collect, use and share your information. KEANE is not responsible for the privacy statements or other content on websites outside of the KEANE and KEANE family of websites. KEANE collects and uses your personal information to operate the KEANE Web site and to deliver the services you or a KEANE client have contracted with KEANE to receive. Where you provide consent pursuant to one of KEANE’s pop-up notices, KEANE also uses your personally identifiable information to inform you of other products or services available from KEANE. KEANE may also contact you via surveys to conduct research about your opinion of current services or of potential new services that may be offered. KEANE does not sell, rent or lease its customer lists to third parties. If this business practice changes in the future, KEANE will provide individuals with opt-out choice. KEANE may share data with vetted vendors to help us securely store and maintain data, perform statistical analysis, send you email or postal mail, provide customer support, or arrange for deliveries. All such third parties are prohibited from using your personal information except to provide these services to KEANE, and they are required to maintain the confidentiality of your information. Upon consent pursuant to KEANE’s pop-up notifications, KEANE keeps track of the websites and pages you visit within KEANE to determine what KEANE services are the most popular. This data is used to deliver customized content and advertising within KEANE to customers whose behavior indicates that they are interested in a particular subject area. KEANE stores personal Information within the United States of America on servers under our own exclusive custody and control, in a data co-location to ensure disaster recovery and business continuity, and on WORM (write once, read many) compliant, encrypted back-up tapes maintained at a secure commercial storage facility. KEANE maintains a ten-year data retention policy in order to accommodate various United States’ jurisdictions’ audit review. KEANE may be required to disclose an individual’s personal information in response to a lawful request by public authorities, including to meet national security or law enforcement requirements. KEANE will disclose your personal information, without notice, if required to do so by law or in the good faith belief that such action is necessary to: (a) conform to the edicts of the law or comply with legal process served on KEANE or the website; (b) protect and defend the rights or property of KEANE; and (c) act under exigent circumstances to protect the personal safety of users of KEANE or the public. In cases of onward transfer to third parties of data of EU individuals received pursuant to the EU-US Privacy Shield, KEANE is potentially liable. As disclosed in the pop-up notifications provided upon you navigation to the KEANE websites, it uses “cookies” to help you personalize your online experience. A cookie is a text file that is placed on your hard disk by a web page server. Cookies cannot be used to run programs or deliver viruses to your computer. Cookies are uniquely assigned to you, and can only be read by a web server in the domain that issued the cookie to you. KEANE may use a vendor that provides the ability to identify you personally based on links you have clicked in emails or information you have submitted in online web forms and associate this information with certain cookies. KEANE may continue to receive information that identifies you and tracks your web page views as you view other websites that use these certain services. You have the ability to accept or decline cookies. Most web browsers automatically accept cookies, but you can usually modify your browser setting to decline cookies if you prefer. If you choose to decline cookies, you may not be able to fully experience the interactive features of the KEANE services or websites you visit. KEANE takes all reasonable steps to secure your personal information from unauthorized access, use or disclosure in a controlled, secure environment. When personal information is transmitted by KEANE, it is protected through the use of encryption, such as the Secure Socket Layer (SSL) protocol. KEANE acknowledges the right of individuals to access their personal data. An individual who seeks access, or who seeks to correct, amend, limit use or delete inaccurate data, should direct his query to KEANE at compliance@keaneup.com. If requested to remove data, we will respond within a reasonable timeframe to the extent that KEANE controls the data and can reasonably remove the same or is required to do so. For personal data subject to the GDPR, you have the right to: (a) transfer personal data from one electronic processing system to another; (b) know what data has been collected about you and how such data has been processed; (c) make changes to inaccurate data; (d) to the extent that our retain of your data is in reliance on your consent to process your personal data, you have the right to withdraw your consent and ask for your personal data to be deleted, note that this does not apply to data that KEANE must maintain in order to fulfill its contractual obligations to the property holder. KEANE has further committed to refer unresolved privacy complaints under the US-EU Privacy Shield Principles to an independent non-profit dispute resolution mechanism, the BBB EU PRIVACY SHIELD, located in the United States and operated by the Council of Better Business Bureaus. If you do not receive timely acknowledgment of your complaint, or if your complaint is not satisfactorily addressed by KEANE, please visit the BBB EU PRIVACY SHIELD website at www.bbb.org/EU-privacy-shield/for-eu-consumers for more information and to file a complaint.  Return to the Keane Unclaimed Property homepage.